This marvelous work and wonder was none other than the gospel work of the New Testament–teaching, preaching, and healing all manner of sickness and disease among the people; the creation of new lives; and the full program as demonstrated and recorded of Christ and His followers. . . . Not only did the miracles and signs of the gospel make men wonder, but they caused some to resist to the point of seeming madness and their own destruction; and the new doctrines taught caused the wise of the world to stumble, harden their hearts, and be lost ( I Cor. 1:18-31). Such a program was a savour of life unto life in those who conformed to the gospel, as well as a savour of death unto death in those who rejected it (2 Cor. 2:15-17). Even the literate leaders of Judah and Jerusalem were blinded to the Word of God because of their lethargy, spiritual sluggishness, inactivity, and stupidity regarding revealed truth. It didn’t matter if those who saw it could read or could not read, the prophecies were like a sealed book. What caused such blindness? Hypocrisy, lip service, willful sins and hardness of heart (Matt. 13:12-15; Rom. 11:8). Some things just never change. The heart of mankind is easily turned away from the truth of God, because our appetite is not for truth, but for ease, comfort, entertainment, and no accountability. Well, we’re in the final week of October, and it’s sad to say goodbye. I’ve always loved October here in my corner of PA. We’ve had a mix this month–dreary, drippy days, heavy rain, and then the miracle of the bluest blue, with bright sunshine that just fills you up. I love it all. I love it when the nights make me want my puffy comforter. I sleep better when I can pile on the blankets. What a wonderful world God has given us! There’s something for everyone, really. Some like it hot. My sister lives in Phoenix, and loves having 360 days each year of clear sky and bright sun. I wouldn’t like that. I like weather, variety, clouds, winds, storms. There are mountains for those who crave them, deserts for others, and lush green valleys for people like me. All of the gorgeous sights around this globe could keep a person traveling for a lifetime, and still never see them all. If the earth is so gorgeous, then just think: How beautiful heaven must be! Sometimes I just can’t wait, even knowing that, at my age, it’s probably no more than 15 or 20 years away. Don’t misunderstand. I’m not looking forward to be finished here except that I’ll be starting up there! I want to see my grandkids finish growing up, and maybe even present us with a great-grandchild or two. I want to be a good steward of the time I have left. But I do look forward to heaven. It’s so pretty outside. It’s the last few days in October, and we have crystal clear blue skies, colorful trees—but lots of their leaves litter our lawn. The temp is somewhere in the mid-60’s, which in my mind is just perfect. No wind, bright sun. I had a haircut appointment this morning, and then stopped at the Walmart for some groceries. If you’ve been reading my blog for some time, you may remember a post in which I described a sweet little girl who had a smile for everyone, and what fun it was to watch grumpy old adults respond to her sunshine. I decided to make it a point to smile at everyone whose path crossed mine. Can’t hurt, and maybe someone else will catch the bug. Well, of course I looked all around, curious as to who was creating such a to-do. And I saw two older folks–even older than I–grinning at me like a couple of Cheshire cats. We had a short conversation. Seems the woman had told her husband about this person who always smiles at her whenever they happen to see each other at the Walmart. She was amazed that a complete stranger would do something so, well, strange. We ended up laughing as I told them about the little girl who got me started in this journey, and we all turned away smiling. And then, out of no where, I thought of my mom. I used to dread going to the grocery store with her because the minute she walked in, about fifteen people, including customers and employees, would pop out of the walls and call out to her. “Hey, Ms. Fullmer! Is that your daughter from Pennsylvania? How y’all doing today?” And then they would launch into what was obviously an ongoing conversation about various relatives and their doings, which my mother knew all about. Cashiers would actually motion her over to their lane, wanting to get to chat with her. This is my mom when she was 69, a year younger than I am.now .She was all dressed up for my oldest son’s wedding. She’s been in heaven for five years now, and I’m sure she’s spent time getting to know everyone there, catching up with her friends and loved ones and generally being sociable. She told me once that when she and dad were just starting out in the ministry, she was very shy. Dad was tall, a big man, and she would do her best to hide behind him when they entered a room full of people. They were a good match, my mom and dad. He mellowed as he grew older, and so did she—as most of us do—but her social butterfly phase didn’t mellow. It blossomed. She and that little girl in my Walmart would have taken to each other, I think. 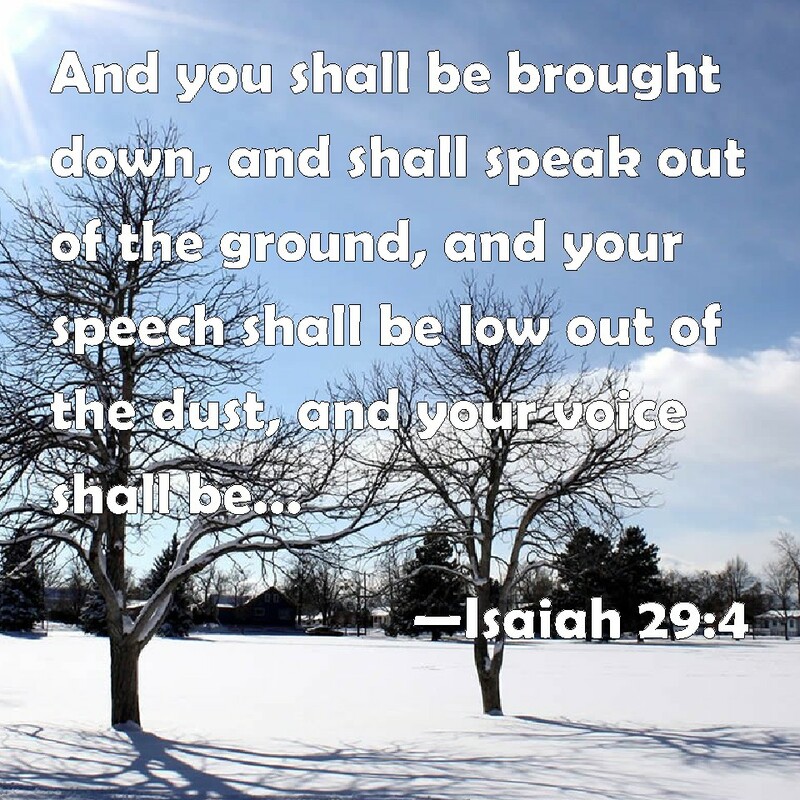 God is speaking to His people in these verses, through the prophet Isaiah. Imagine a people whose spirit is so blinded with pride, hypocrisy, and deceit that they have no understanding of the clear words of warning they hear day after day. The result of their apathy is to behave as if they were drunk, losing all awareness of the reality that hovers over them like a dark cloud. God has dealt with their lethargy, spiritual sluggishness, inactivity, and stupidity regarding truth that even their prophets,rulers, and wise men were blind–so blind and lacking in spiritual perception that God’s Words was a sealed book to them. We in America are just the same. We are without excuse. We have limitless access to God’s Word, and yet our people become more ignorant of the scriptures every single day, immersing ourselves instead in entertainment, political wrangling, and frivolity. Jerusalem paid the price. 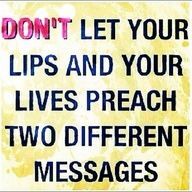 So will we, unless we wake up to the truths of God’s Word. God will allow the nations to war against Jerusalem in order to finally bring His people back to Himself. It will be terrible for Jerusalem, but the end result will be their final restoration to God. This has been the case throughout the history of Israel. There is a cycle of obedience, sin, turning away, idolatry, retribution, and restoration. You’d think they’d “get it,” after all these thousands of years, but like all the rest of us, the hearts of the people are sinful. It is easier to just give in to surrounding influences. We all fight that battle every single day. This time, however, the restoration will be complete and final. The nations that rose up against Jerusalem, vowing to destroy it forever, are described in today’s passage as people who are dreaming. They are hungry, they eat, then they wake up realizing it was a dream indeed. I had the strangest dream just before I woke up this morning. I don’t remember who was involved, but I was tasked with collecting a debt owed to someone in my family. As I walked toward the debtor’s house, he met me in his front yard with the check in hand. I was delighted that it had been so easy until I realized he had written the check incorrectly–knowingly–and it would be worthless. Then I woke up. It was so real that I felt sure there would be a check in my hand, but of course there wasn’t. So it shall be for those who persecute Israel. They will wake up thinking that finally, Israel and Jerusalem and all Jews have been wiped off the face of the earth. The reality will be far different. They dreamed of victory, but their victory will turn to utter defeat. This is an Armageddon prophecy. This is the only time in history, when Jerusalem is under siege, when the city will be taken, the houses rifled, the women ravished, and half the city captured (Zech 14). That it has a latter day fulfillment is clear from the fact that the invaders would be destroyed by thunder, earthquake, great noise, storm, tempest, and devouring fire (v. 5-6). This did not happen when Assyria invaded Judah and surrounded Jerusalem. At that time, an angel killed 185,000 men with a sword, but not by these other means. Neither did these things happen when Babylon (2 Kings 25) and Rome destroyed the city (Luke 23:20-24). It is definitely stated in Ezek. 38: 17-23 that the Lord will destroy Antichrist’s armies at Armageddon with a great earthquake, pestilence, blood, overflowing rain, great hailstones, fire, and brimstone. In 2 Thess. 1:7-10, flaming fire is mentioned as destroying the wicked at this time: and in Rev. 16: 17-21 a great earthquakes is referred to as destroying many at the same time. There is no time in history or in prophecy that v. 5-6 has been or will be fulfilled other that at Armageddon. At Armageddon and even 1260 days before this, Jerusalem will be taken over by Antichrist; and Israel will be brought low in the dust of defeat: as predicted here (Dan. 9:27; Matt. 24:15-22; 2 Thess. 2:1-4; Rev. 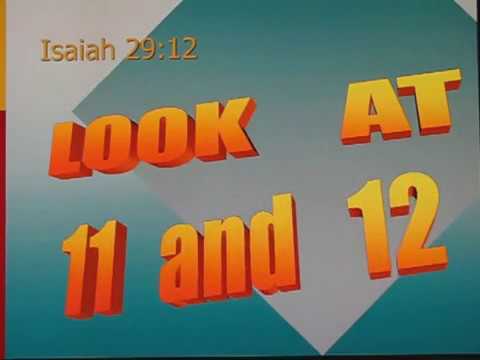 12:13). Speaking out of the ground, whispering out of the dust, are both symbolic of the complete humiliation and destruction of Jerusalem. Total defeat, total humiliation. But hope is never completely gone.